In October, we’re publishing Missional Conversations edited by Cathy Ross and Colin Smith. The book introduces reader sto key themes in contemporary mission through global conversations between theory and praxis. Exploring emergent themes in missiology, the book takes the form of a conversation between reflective practitioners – both those in academia and with those who are practically engaged. To conclude, Ian Adams reflects on Luke’s account of Simeon and Anna as a lens through which to view what mission spirituality might look like in our turbulent times. 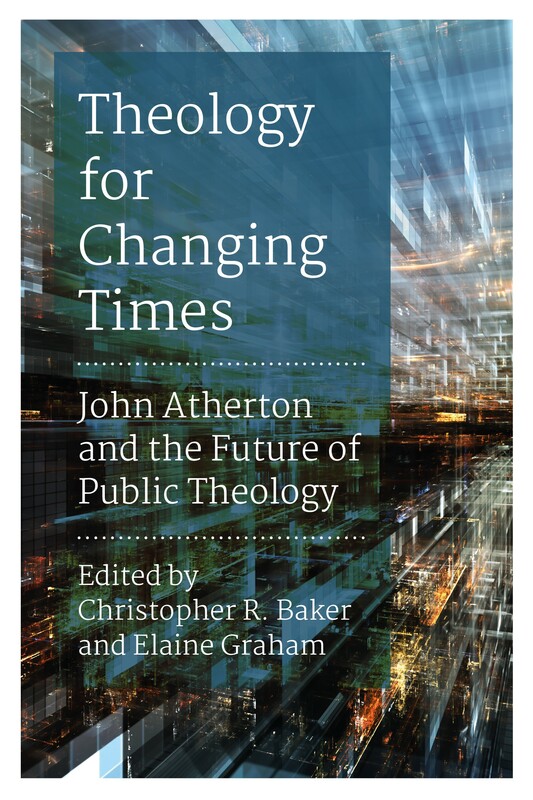 Also in October, we’re launching Theology for Changing Times: John Atherton and the Future of Public Theology. The launch takes place at Manchester Cathedral on 1st October, with evensong at 5:30 followed by the launch reception at 6:30. There will be input from some of the contributors to the volume. This will be followed by refreshments, as well as the opportunity to meet the editors, buy a copy of the book and mingle with the many people who knew John Atherton and valued his work. Tickets are available here. If you’re training at theological college, the SCM Press Pop-up bookshop gives you the chance to browse a range of SCM Press titles, along with titles from our friends at Canterbury Press and Church House Publishing. We have a range of titles relevant to your course available at good discounts and a wide selection of supplementary reading in biblical studies, ecclesiology, practical and pastoral theology, ethics and doctrine. Have a look below to see if we’re coming to your institution, and if we are then come along on the day and see what we’ve got on display. If your institution isn’t listed, why not encourage your tutors or lecturers to invite us? November will be busy! That month the arrival of four new books. Firstly, there’s the latest publication in our SCM Research strand. 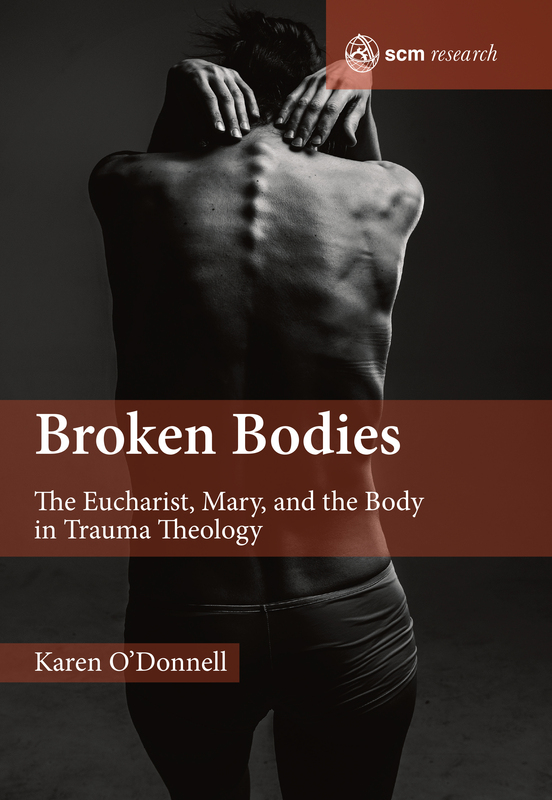 Broken Bodies: The Eucharist, Mary and the Body in Trauma Theology explores the nature of that trauma and examines the implications of identifying the trauma of this body. Constructing new ways of thinking about the narratives at the heart of the Christian faith, the author Karen O’Donnell offers a fresh perspective on Christian theology, in particular the Eucharist, and presents a call to love the body in all its guises. It offers new pathways for considering what it means to`be Christian’ and explores the impact that the experience of trauma has on Christian doctrine. 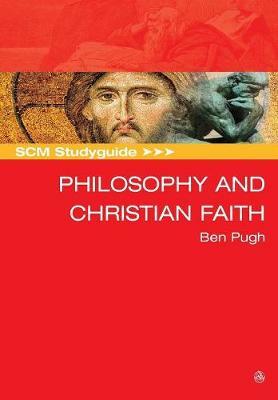 The newest SCM Studyguide, the Studyguide to Philosophy and the Christian Faith is written by Ben Pugh, who also wrote the Studyguide to Theology in the Contemporary World . Much like that latter volume, the book is designed to be a companion to be used throughout theological study to equip theology students to understand the culture-shaping beliefs that are driving the kinds of questions that western culture brings to faith. It offers an historical overview of the key stages in the history of Western philosophy with each section carefully tracing the genealogical line of ideas and the Christian responses to them, right up to the present day. Throughout the studyguide students are encouraged to reflect on the ways in which what has been learned might be applied in both explicitly theological and wider cultural contexts – for example, they might be asked to think of a film or book that seems to express elements of existentialism or postmodernism, or to describe how something very like the extreme subjectivity of idealism can sometimes shows itself in Sunday morning worship. This bridging of the practical and the theoretical will prove a invaluable aid for those studying theology particularly if they are doing so with a view to going into different forms of Christian ministry. 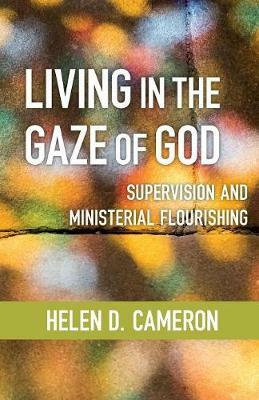 Helen D. Cameron‘s book Living in the Gaze of God offers an accessible and timely exploration of the theme of ministerial accountability through the lens of one reflective tool – that of formal supervision of ministerial practice. Bold and far-reaching, the book addresses the key presenting issues around a need for a change of culture in the church as regards accountability for Sministerial practice. The book outlines a theological and practical model of 1-to-1 supervision, arguing that such an approach enables the development of greater attentiveness to God, the self and others and thus enhances accountability. Laying aside the need to offer a ‘how-to’ approach, Helen Cameron instead brings us a rigorous and dynamic consideration of the interface between supervision, accountability and ministerial practice, and offers a theological underpinning for the issues. Reflection in Practice (edited by Gary O’Neill with Liz Shercliff) explores theological reflection as a tool for ministerial training and development. Set to become an important resource for those within theological education institutions, adult theological educators and anybody with responsibility for initial or continuing ministerial development, the book breaks new ground in exploring how a model of conversation can be used to lay a foundation for learning which provides a new architecture for both academic curriculum and personal formation. It offers a practical guide to good practice supported by the lived experience of educators from All Saints Centre for Mission and Ministry working across several disciplines. Material Wealth And Wellbeing – Where’s the Link? The work of John Atherton journeyed through involvement with issues of poverty in the 1960s–1980s, to engagement with economic systems as a cause of poverty from the 1980s – late 1990, leading to engagement with the wider subject of economics, its relationship with not only Christianity, but global religion and belief and its growing involvement with wellbeing studies. He was widely considered one of the leading public theologians of his generation who truly understood the power of the Market and globalisation, and its ongoing impact on the way we live. His was a tireless quest to the extract the hopeful and progressive potential of these epochal changes without sacrificing a commitment to empirical and critical thought. In the following extract from his last published article, Atherton considers the question of whether wellbeing has anything to do with material wealth. have it more abundantly’ (John 10.10, kjv). Historically, its record of promoting greater wellbeing has been mixed in practice and even more in theory, particularly since 1800 when the Industrial and then Mortality Revolutions began spreading their beneficial consequences across the world. So much of Christianity’s theory and practice was framed before 1800 that it lacked tools to engage such progressive change, especially economic change and economics. consideration of increasing incomes is related to decreasing poverty but also increasing inequality. First, the historic increase of income resulted from the Industrial Revolution’s ‘long-term and continuing economic growth’ (Deaton, 2013, p. 34). From 1820 to 1992 the world’s inhabitants’ average income grew between seven and eight times, constituting a ‘historically unprecedented increase in living standards’ (Deaton, 2013, pp. 4–5, 167). In the USA, leader of this revolution, per capita income rose from $8,000 in 1929 to $43,238 in 2012, an amazing fourfold increase in only 80 years and the result of economic growth of 1.9% per annum, astonishing to our ancestors, but not to us (Deaton, 2013, p. 170). Second, decreasing poverty was one of the greatest consequences of increasing incomes. So between 1820 and 1992 the fraction of the world’s population in extreme poverty dropped from 84% to 24% (Deaton, 2013, p. 167). This achievement was nothing to do with liberation theology! Third, increasing inequality, the classic indicator of great divergences, of paradoxes of development, accompanied these progressive changes in incomes and poverty. Such income inequality since the Industrial Revolution has occurred particularly between nations. The wealthiest countries are 256 times richer than the poorest (Deaton, 2013, p. 20). Inequalities within nations, like the USA, have returned to rapidly accelerating processes since the 1970s. In the USA, the bottom 90% is ‘barely holding onto the living standards of its parents’ (Deaton, 2013, pp. 189, 205). The real gains have been made particularly by the top 1%. Nobel economist Stiglitz has summarized these developments in Vanity Fair: ‘Of the 1%, for the 1%, by the 1%’ (Stiglitz, 2012, p. xxxix). material consumption’ with all that brings for wellbeing (Clark, 2007, p. 2). So income per person began its inexorable rise, delivering billions out of poverty. 30% of British economic growth since 1790 (Fogel, 2004, p. 33). It is these links between income, food, health and economic growth that illustrate the interaction between these central features of progressive human wellbeing. Because of this centrality of material wellbeing to wellbeing in general, it is worth exploring debates in economics questioning this significance of increasing income for increasing wellbeing. These arguments are particularly relevant to conversations between Christianity and economics, with the former’s long history of critical suspicion of material wellbeing, money and consumption. Whatever wellbeing is about, it’s not about that at all for much of Christianity! There are two arguments over these matters in contemporary economics, relating to post-materialism and whether greater incomes make us happier. back seat where it belongs’ (Keynes, 1932, p. vi). Fogel argued more recently that ‘The touchstone of wellbeing … will be measured … in terms of the quality of health and the opportunity for self-realisation’, what he terms ‘spiritual rather than material resources’ (Fogel, 1997, p. 1905). But it was American political scientist Inglehart who argued that empirical evidence demonstrated the emergence of increasingly post-materialist societies in the USA and Europe. For him, post-materialist values have ‘tended to neutralise the emphasis on economic accumulation’ (Inglehart, 1988, p. 1203). This is obviously an appealing argument to the religious, being pro-spiritual and anti-economics/materialist. Yet on examining surveys from 1975–94 Easterlin found quite different trends reflecting the significance of the materialist in relation to social concerns: ‘the percentage of people naming the materialist response as part of the good life exceeded that of people giving the non-materialist response’ (the difference rose from 7 to 21% – suggesting clear shifts towards materialist values, not away from them) (Easterlin, 2004, p. 51). Deaton and Easterlin conclude, therefore, that the material remains of decisive importance for human wellbeing, as it always has been. Christianity needs to come to terms with that, but is not very good at it. income increases’ (Sacks, Stevenson and Wolfers, 2012, p. 61). with more money report they have better lives (life evaluation) (Deaton, 2013, pp. 52–3). So money matters only up to a point for improving such happiness, leading Graham to talk of the ‘paradox of happy peasants and miserable millionaires’ (Graham, 2009). Higher incomes improve evaluations of life but not emotional wellbeing. neglect the enormous benefit for human wellbeing of the escape from the Malthusian Trap which dominated and scarred most lives for most of human history. The French historian Braudel’s three-volumed Civilization and Capitalism, 15th–18th Century, traces the evolution of such material wellbeing up to the Industrial Revolution. The first volume engages The Structures of Everyday Life, classically centred on the historically continuing bases of material wellbeing, food, clothing and housing, from the fifteenth to the eighteenth century (and for most of history) (Braudel, 1981, 1982, 1984). It was these material essentials for wellbeing that were transformed by the Industrial Revolution, even though they still form the basis of current income expenditure. 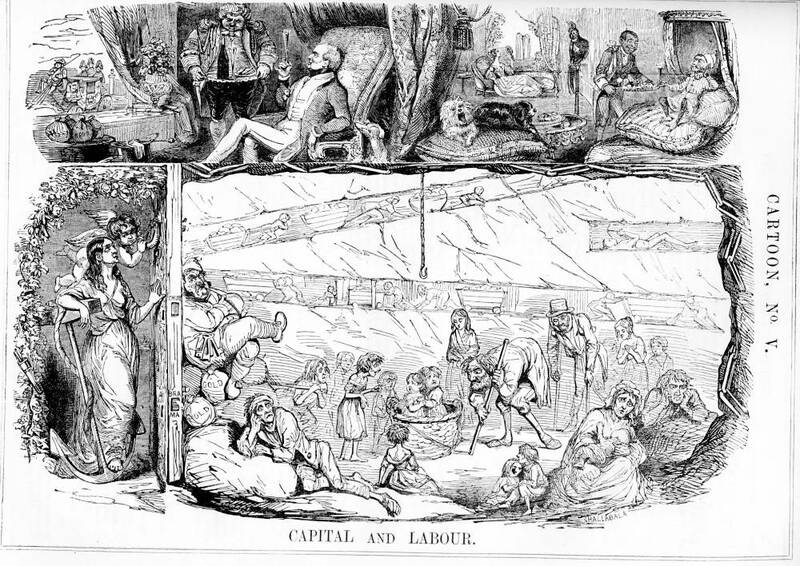 It is this story of dramatic contemporary change in material wellbeing, say from 1870 to the present, that has been charted in US history by Robert Gordon’s The Rise and Fall of American Growth: The US Standard of Living Since the Civil War. Life in 1870 was closer to the Malthusian Trap. What happened after turned the whole world of material wellbeing upside down profoundly for the better. In 1870, Boston had 250,000 citizens sharing the streets with 50,000 horses (Gordon, 2016, p. 48)! Women carried water and fuel into the house and took sewage and ashes out. The labour extended to cooking on fires, hand washing clothes, making clothes, and was immense. Then came two revolutions in 1879, Edison’s electric light and Benz’s internal combustion engine, transforming life for ever, along with the production of nutritious safe food and drink and good cheap clothing (the rise of mail catalogues and department stores) and the connectivity of housing in terms of piped clean water, sanitation systems, electricity and electrical appliances, central heating and then air conditioning, and telephones representing continuing advances in communications. And from the house, the car and then the aeroplane opened the world to all with incomes. It is an astonishing story of the development of material wellbeing. Material wellbeing is intimately linked to incomes or money. It is the former that dominates economic understandings, but the undue focus on the latter has led Christians, especially theologians and church leaders, to at best profound misunderstandings of material wellbeing and income. The full version of this article can be found in Theology for Changing Times: John Atherton and the Future of Public Theology, published later this month. Edited by Christopher Baker and Elaine Graham, the book includes contributions from Hilary Russell, Peter Sedgwick and Anna Ruddick, as well as from Atherton himself. There’s still time to book on to the launch of the book from 5:30pm on Monday October 1st at Manchester Cathedral. Tickets are free. To find out more and book your ticket, click here. Photo: The Office of Rabbi Sacks. What are the stories we tell ourselves? And how does an understanding of these narratives offer us a foundation to confront the religious violence in our world? In an extract from his co-edited volume Confronting Religious Violence: A Counternarrative, philosopher, theologian, author and politician Rabbi Lord Jonathan Sachs reflects on these questions. I begin with a simple proposition: we are the story we tell ourselves. There is an intrinsic, perhaps necessary, link between narrative and identity. In the words of the thinker who did more than most to place this idea at the center of contemporary thought, Alasdair MacIntyre, “man is in his actions and practice, as well as in his fictions, essentially a story-telling animal.” We come to know who we are by discovering the story or stories of which we are a part. Jerome Bruner has persuasively argued that narrative is central to the construction of meaning and that meaning is what makes the human condition human. No computer needs to be persuaded of its purpose in life before it does what it is supposed to do. Genes need no motivational encouragement. No virus needs a coach. We do not have to enter their mindset to understand what they do and how they do it, because they do not have a mindset to enter. But humans do. We act in the present because of things that we did or that happened to us in the past and in order to realize a sought-for future. To explain even minimally what we are doing is already to tell a story. Take three people eating salad in a restaurant, one because he needs to lose weight, the second because she’s a principled vegetarian, the third because of religious dietary laws. These are three outwardly similar acts, but they belong to different stories, and they have different meanings for the people involved. Abrahamic monotheisms in particular—their unrivaled power to bind vast numbers of people in a common purpose, dedicated to collective ideals. thesis, that any country or culture seeking to enter the modern world would have to do so the Western way. These metanarratives worked as accounts of modernity for several centuries. History seemed to confirm the explanation they gave of the processes operating on societies as they entered a post-traditional age. Yet in recent years, each has begun to falter. None can be told with the same confidence that they commanded a half century ago. The full version of Rabbi Lord Jonathan Sack’s chapter ‘The Stories We Tell’, can be found in Confronting Religious Violence: A Counternarrative, published later this month and edited by Richard Burridge and Jonathan Sacks. 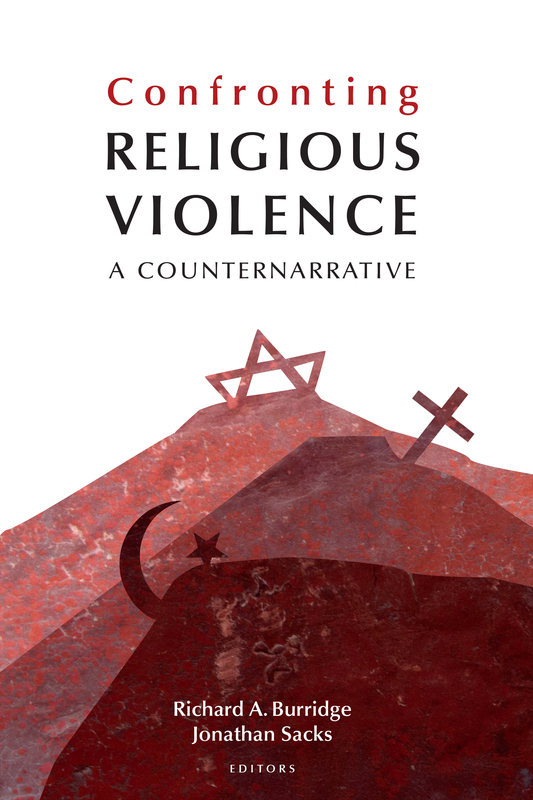 In the book twelve international experts from a variety of theological, philosophical, and scientific fields address the issue of religious violence in today’s world. Contributors include Miroslav Volf, David Sloan Wilson and Guy Stroumsa.